This instrument is well made with professional quality standard (not a tourist display instrument) and beautiful mother of pearl inlaid. The hard case (black) is included. 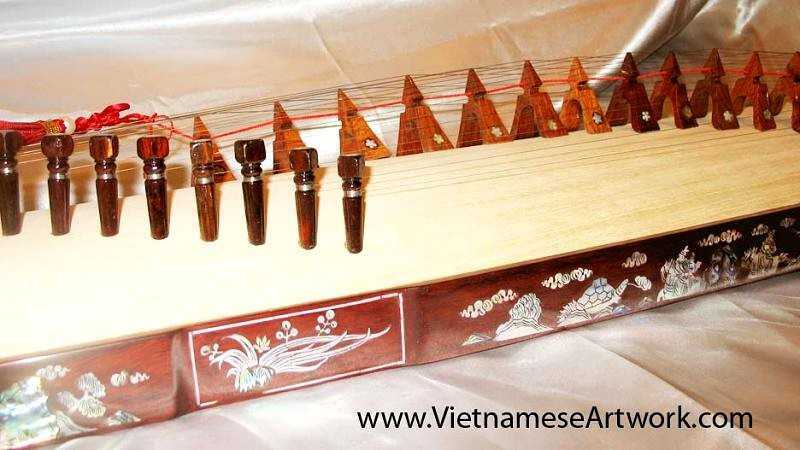 Dan Tranh or also called Dan Thap Luc, 16 string zither, invented by Emperor Phuc Hy of China (2852 B.C.) The instrument is placed in front of the musician who uses right hand to regulate the pitch and vibrate, while picking the strings with left hand.